Caesars Entertainment experiences a large month-over-month revenue surge while New Jersey’s other online casinos tout more pedestrian gains. 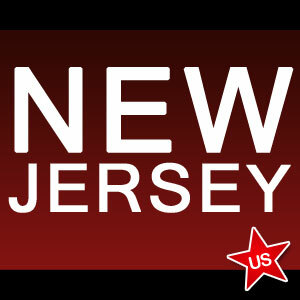 The numbers are in – New Jersey’s second full month in the iGaming landscape was more lucrative than its first, albeit marginally. In January, the state reaped in $9.46 million in revenue, up from $7.39 million that previous month. That marks a 28% overall increase – substantial, but less than what was hoped for. Online casinos fared moderately better than online poker, with the latter only boasting a 19 percent increase. Casinos, on the other hand, brought in more than $6.01 million total – an impressive 34% gain. Revenues wrought by the Garden State’s online casinos accounted for nearly two-thirds of the state’s total iGaming take. That being said, there are two more online casinos than poker sites currently operating in New Jersey. Furthermore, Betfair’s poker room is a virtual ghost land and can hardly be counted in the mix. Factor them out, and online poker captures a significantly larger percentage share (41% percent) of the market than what appears on paper. By the end of January 2014, approximately 198,000 iGaming accounts had been created, 49,000 in the past month alone. The DGE failed to release information regarding the number of unique users. Thus, it is currently impossible to gauge the average number of accounts per user. However, by dividing revenue margins by the number of accounts, it was determined that iGaming operators are generating an average of $48 per account in revenue. Caesars Entertainment’s two online poker sites, WSOP.com and 888poker.com, exhibited the most substantial growth. Reports indicate that the pair increased their month-over-month poker revenues by approximately 42%. Compare this to Party/Borgata, which only exhibited a modest 6.5% gain. However, Borgata/Party is still the market leader, accounting for 53.4% of all online poker revenues. Caesars finished second with 44% and Ultimate Poker held relatively steady at 2.56%. Betfair’s failed poker site brought in a measly 11 dollars. Unfortunately, the individual percentage shares of WSOP and 888 were not disclosed in the report, although according to PokerScout, WSOP appears to be the bigger money maker of the two. Overall, NJ’s poker sites are on the up and up, and while the $1.4 million in tax revenue dollars generated last month fall significantly short of the $13.3 million originally projected, most industry experts found the initial predictions overly generous. The DGE’s revenue report can be found here.